Lock in a great price for Saint Michel – rated 9.3 by recent guests! Unfortunately only stayed for a night but everything about this property was superb! Looked the fact that we slept in a 800year old room. Next time I’ll book the 2400 year old room!!! Lovely comfortable bed and roof terrace was spectacular. Christos kindly came to let us in at 1am after the late flight. The location is excellent being in a quiet street of the Old Town and 10 minutes walk from the ferry terminal. 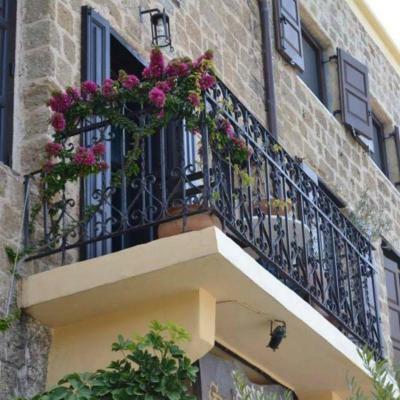 The owner Christos is very welcoming, exceptionally friendly and helpful. 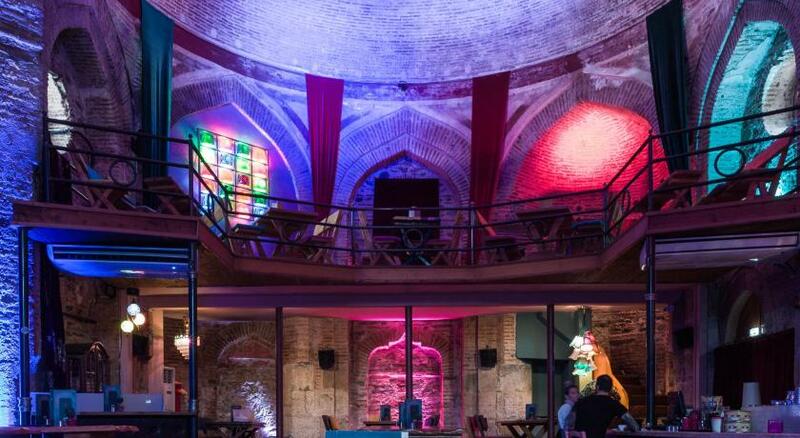 If you enjoy older buildings, you would love this place! It is full of history and character, and comfortable and convenient at the same. The staff is helpful and friendly - makes you feel at home. The location is unbeatable: in a popular historic area, short walk to the port and all attractions of the old tiwn. Wonderful welcome from the charming host. Helped with all my travel queries. It was everything I like about Greece. Saint Michel is set in a 800-year-old building in the Old Town of Rhodes. The charming hotel offers accommodations in stone-built rooms with modern shower cabin. Breakfast is available upon request. The stylish rooms combine modern comforts, such as slippers, air conditioning and a flat-panel TV set, with romantic iron beds and handcrafted details. Wi-Fi access is free. Within a 2-minute walk you will find the center of the Old Town, with its cabled alleyways, and restaurants serving Greek cuisine. The new town of Rhodes, the commercial harbor and the beach are 5 minutes’ walk away. 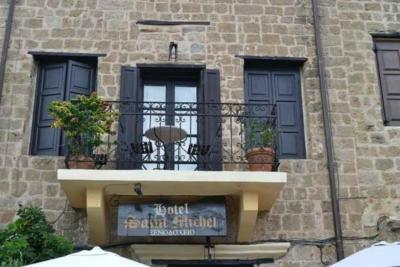 When would you like to stay at Saint Michel? Featuring tiled floors and iron bed, this room offers air conditioning and flat-screen TV. This room comes with a double bed and a single bed or a double sofa-bed and a single bed and opens to an inner terrace. It also offers air conditioning and flat-screen TV. 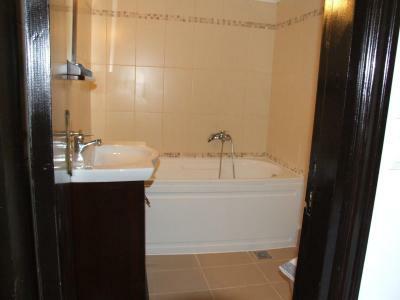 The bathroom is fitted with a shower cabin or bath tub. 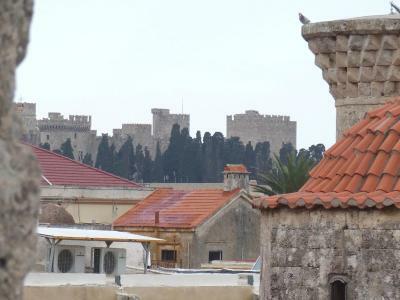 Spacious room with a private terrace with panoramic view over the Old Town of Rhodes. Guests can enjoy a private terrace with sun-loungers. This suite features a seating area and sofa, while guests can enjoy views of Rhodes Old Town. House Rules Saint Michel takes special requests – add in the next step! Saint Michel accepts these cards and reserves the right to temporarily hold an amount prior to arrival. Guests are kindly requested to inform the hotel one day in advance of their estimated time of arrival. This can be noted in the Comments Box during booking or by contacting the hotel/property using the contact details found in the booking confirmation. Rooms a bit small but that is fine for the price. Next time I will try the top room with the terrace! As a solo traveller slightly uncomfortable walking back through the maze of alleyways in the dark at the end of the evening. On a quiet edge of the old town. Charming host. The location of Saint Michel was great. The rooms were nice and the staff were very friendly. Highly reccommend and would stay here again! Christos the owner is wonderful. He welcomes you with local drinks and snacks and makes you feel at home. He will do anything to help you enjoy your stay. The rooms are so comfortable and in medieval style. The beds are so comfy and you can close the shutters and switch on the air con and really escape the hot Greek sun. The hotel is just a minute away from the Old Town but it's so quiet unlike other hotels which are next to the noise. This place was perfect. I would definitely stay here again!! From the moment we arrived we were so warmly welcomed by Christos in his beautiful hotel and he told us that we were to feel like we were at home. He went above and beyond to help my sister and I enjoy our trip. The hotel is in a really quiet part of town but only minutes from the main Old Town which means you are really close to everything but not kept awake at night by the lively and noisy Old Town. The hotel is really medieval and beautiful and very clean with really comfortable beds. We would definitely stay here again the next time we are in Rhodes. You will not regret booking a room here and Christos will do everything he can to help you enjoy your stay. Highly recommended! We spent there only one short night, but it was a nice place, even more nice service provided by Chris. The hotel is placed in an unbeatable area inside of the old town. We'll comeback 100% with more time. Interesting hotel, like a painting by MC Escher. Definitely recommend if some wants to catch the spirit of Old Town. Try the 3.50, 5 or 8 € breakfast. If having troubles climbing stairs check with owner first.